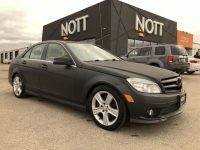 Searching For A Used Mercedes In Winnipeg? See local Mercedes-Benz dealer pricing, pictures & monthly payments for Winnipeg Mercedes financing to buy Mercedes C-Class, E, M, G, S Suvs & Cars. Mercedes is one of the companies that manufactured the first automobile in the world. They are one of best known car companies in the world that meets the needs of customers with their wide selection of vehicles from compact cars to SUVs! Find your next car by browsing our extensive used Mercedes-Benz listings. Our knowledgeable Mercedes-Benz sales consultants are here to help you research the latest Ford body styles and go over the detailed model specifications and features with you. 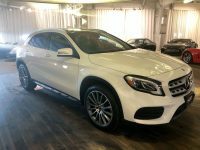 2018 MERCEDES-BENZ GLE63 AMG S *SOLD* 4matic Premium + Intelligent Drive Pkg 577hp! 2013 MERCEDES-BENZ G63 AMG Brabus RARE MATTE BLACK, NAV, HEATED AND COOLED SEATS, 540HP!!! 2012 MERCEDES-BENZ ML350BT Blue Tech Diesel 4 Matic/Navigation/back up cam/Moon roof/Heated steering wheel/Blind spot system just replaced under warranty! Why Buy A Pre-owned Mercedes-Benz from Nott? Every Nott family certified pre-owned Mercedes-Benz has undergone a 160° premium check to ensure your vehicle is at its highest standard. Our Finance team has over 50 years combined experience so you can be sure, if there is a way to get you approved, we will find it!